Bovec, in Slovenia, is a small ski resort with just 5 ski lifts (3 chair lifts, 1 surface lifts) but it does boast a very impressive 1817 metres (5961 feet) of vertical descent. 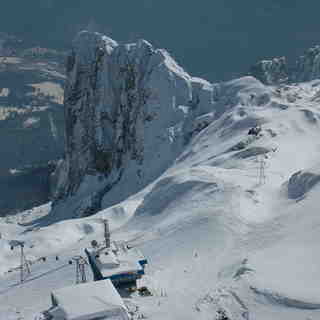 Bovec has 49 acres of terrain over 5 pistes. Bovec is best suited to intermediate skiers and snowboarders but there is some terrain for beginners and advanced skiers. There are 16 kilometers (10 miles) of cross country ski trails at Bovec. 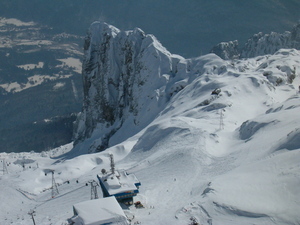 The nearest airport is at Ljubljana and the nearest train station to Bovec is at Tarvisio.